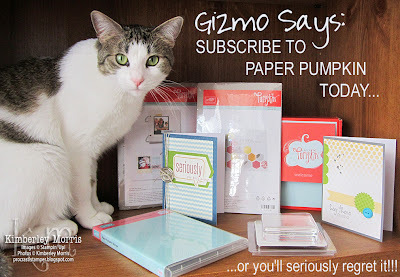 Paper Pumpkin Deal - $10 A MONTH! To get the savings, click the image above, or CLICK HERE, to go to my Paper Pumpkin Page. To get your subscription started, click JOIN, near the top right. Enter 1 in the Quantity** field, then click on Add Promo Code and enter PUMPKINDEAL. Click Continue, and finish filling in your subscription information. You will get an email asking you to set up or confirm your password, and after you finalize that--your new Paper Pumpkin subscription is complete! It's called a subscription, but there is NO Contract, NO Obligation, and you can SKIP or CANCEL at anytime :-) **You can order more than one kit in any given month, however, the $10 deal only applies to one kit each during your first two months--subsequent kits will bill at the regular price of $19.95 each. Seriously, who needs the Prince when you've got the Pumpkin...SUBSCRIBE NOW! Place your Online Order NOW, using the Hostess Code below, if you'd like your purchases to apply towards my Workshop of the Week BONUSES. Remember...your monthly purchases are cummulative, which means you can purchase $25 now and $25 later and you will earn the $50 Bonus by the end of the month. Note: free product, finished samples, and prep packets will mail after the end of the month, after the entire Workshop is closed out. *Qualifying bonus totals include merchandise subtotal only--tax and shipping are not included. Stampin' Supplies: Tags for All Kit (Digital Download), Best of Flowers stamp set, Happy Day stamp set, Label Love stamp set, Whisper White card stock, Very Vanilla card stock, Crumb Cake card stock, Pool Party card stock, Coastal Cabana card stock, Baked Brown Sugar card stock & ink pad, Crisp Canteloupe card stock & ink pad, Marina Mist ink pad, Smokey Slate ink pad, Daffodil Delight ink pad, Polka Dot Parade Designer Series Paper, Crochet Trim, Dots Embossing Folder, Clear Oval Accent Die, Big Shot, Itty Bitty Shapes Punch Pack, 1-1/4" Scallop Circle Punch, Artisan Label Punch, Stampin' Trimmer, Stampin' Pierce Mat, Paper Piercer, White Baker's Twine, Basic Rhinestones, Stampin' Sponge, Paper Snips, SNAIL Adhesive, Mini Glue Dots, Stampin' Dimensionals. Stampin' Supplies: Mosaic Madness stamp set, Petite Pairs stamp set (best wishes greeting), Quatrefancy Specialty Designer Series Paper, Natural Composition Specialty Designer Series Paper, Mosaic Punch, Itty Bitty Shapes Punch Pack (4 petal punch), Whisper White card stock, Crumb Cake card stock, Daffodil Delight card stock, Pool Party card stock & Ink Pad, Island Indigo Ink Pad, Tangerine Tango Ink Pad, Rhinestone Jewels, Pool Party Seam Binding Ribbon, Modern Mosaic Embossing Folder (used with the Big Shot). Here's a quick picture of the projects I made for this week's Workshop of the Week...I wanted to have the video posted this past weekend, but technology had other ideas :-/ I think I have everything ironed out now, and the video should post tonight or tomorrow. Yep, it's Paper Pumpkin time again! My cat Gizmo just wanted me to remind you that if you don't get signed up by 11:59pm MT on July 10th, you are gonna miss out for July!!! 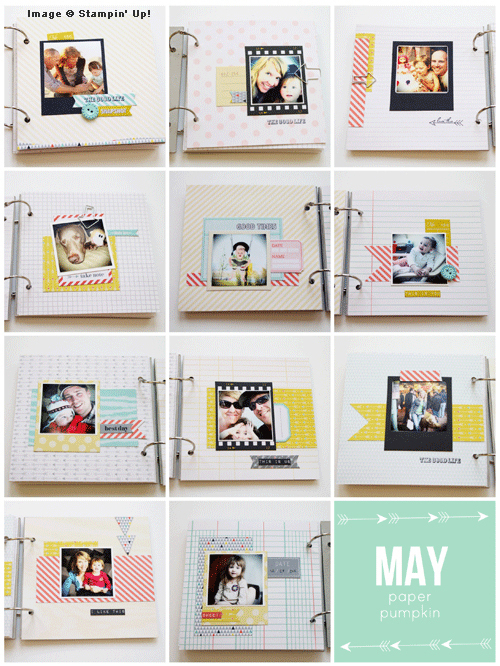 She wanted me to show you all the cool projects we've gotten so far: March Welcome Kit (Hey There Friend Cards), April Seriously Kit (Seriously Cards), May Brag Book Kit (10 page double ring mini album), June Hello Kit (Hello Hexagon Cards). 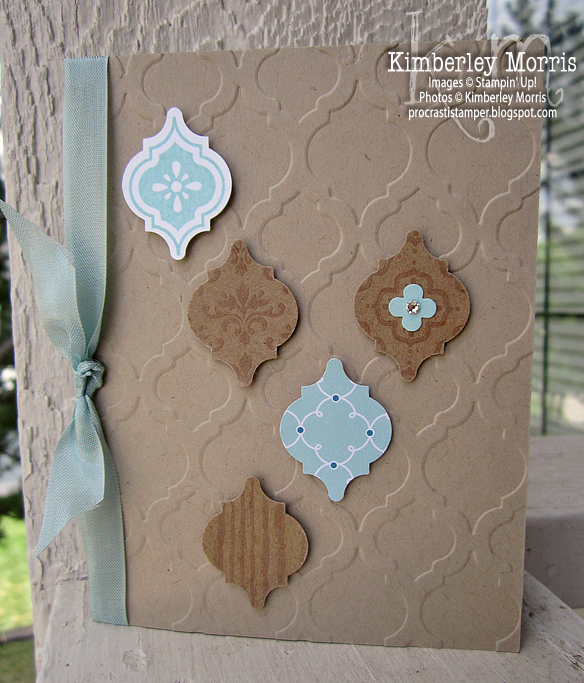 Each month, the project is a surprise--who knows what fun the July Paper Pumpkin Kit will have in store?!? And don't forget to check HERE to see my personal bonuses and offers, when you choose me (Kimberley Morris, Colorado Springs, CO) as your Paper Pumpkin Demonstrator! Guess what I'm demonstrating at my July 6th Workshop? 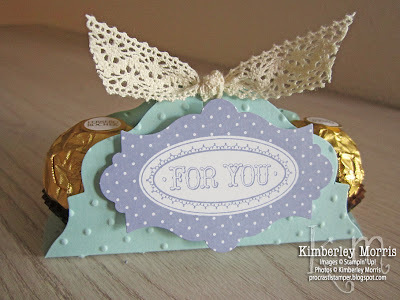 Yep, it's this super simple and way cute Ferrero Rocher Three Treat Holder! What's that you say? You can't come to my workshop?? No worries, I'll be posting a video of all the projects on Saturday AFTER the workshop. Thanks for hanging in there with me, my back seems to be almost healed now. My back is still quite stiff, but thankfully no longer painful...most of the time. 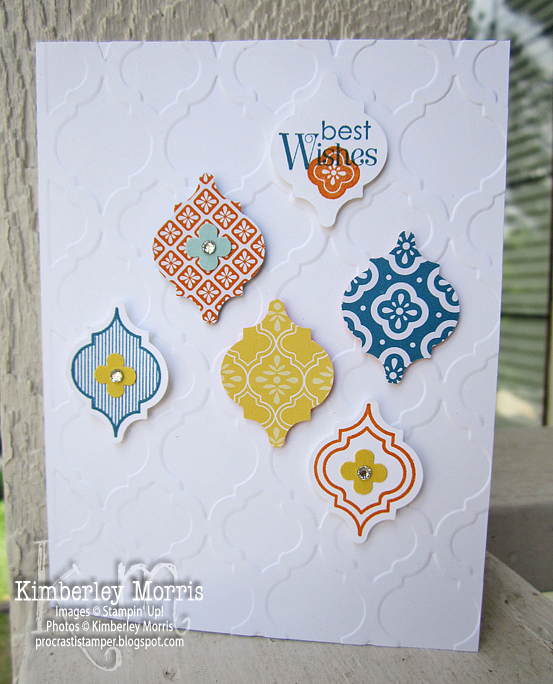 To celebrate the beginning of the new Stampin' Up! fiscal year on July 1st, I am unveiling a new personal offering: the Workshop of the Week (WOW) Video Series. 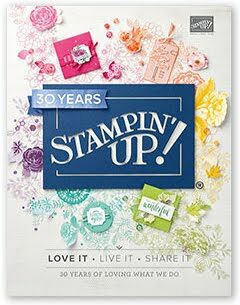 Teaching the basics of how to be successful with paper crafting projects is my personal favorite part of being a Stampin' Up! demonstrator, and workshops are the ideal place for that. So, with this new series, I will get to share more of what I love, in my favorite format, even more often--and I've planned some fun, BONUS features I hope you'll love, too! When you place an Online Order using a Hostess Code, your order ships immediately to you...you don't have to wait for anyone else! You can also order any type of product you want--physical, digital, professional print services, and even Clearance Rack items. And when you order a qualifying amount through my Monthly WOW Hostess Code, you get A TON OF BONUSES you wouldn't have otherwise gotten by just placing your own individual order. Note: because my Hostess Code covers the whole month, that means ALL your orders placed through me for the month count cumulatively towards your BONUSES!